The truth is, most people don’t think about hospice at all until it becomes a necessity. The concept of hospice is relatively new in the United States. However, as the number of hospice providers grows, with varying degrees of quality, it’s important to be informed. Hospice places its emphasis on quality of life with care that’s tailored to the unique needs of each individual and their support network. When curative treatments cease to help, the relief of palliative care can bring a new form of hope for terminally ill patients and their families, as hospice services help them make the most of their time together. In 2007, research published in the Journal of Pain and Symptom Management reported that hospice patients lived an average 29 days longer than similar patients who did not have hospice care. When it came to the United States from England in the 1970s, the hospice movement began as a grass-roots campaign to address the unmet needs of patients with terminal illnesses. The benefits of this care were quickly recognized by the medical establishment. In a 1978 report, a U.S. Department of Health, Education, and Welfare task force noted both the altruistic and practical advantages of government support for hospice care: “The hospice movement as a concept for the care of the terminally ill and their families is a viable concept and one which holds out a means of providing more humane care for Americans dying of terminal illness while possibly reducing costs. As such, it is the proper subject of federal support.” In 1982, Congress included a provision to create a Medicare hospice benefit in the Tax Equity and Fiscal Responsibility Act. alarming results. An article published by the Washington Post on May 3, 2014 entitled “Terminal neglect: How some hospices treat dying patients” reported that the quality of care provided by hospices varies widely. A Washington Post investigation analyzed Medicare billing records for over 2,500 hospices, obtained an internal Medicare tally of nursing care in patients near death and reviewed complaint records at hundreds of hospices. At many hospices, they discovered that little care was provided for patients most in need. The investigation ascribed this absence of care to skimping on nurses, and to the failure of these hospices to have access to a facility where continuous crisis care could be provided. The investigation found that about 18 percent of U.S. hospices did not provide a single day of crisis care. The investigation noted that the absence of crisis care at those hospices stands in stark contrast to most others, where such care is common. Medicare payment rates and their unintended financial incentives may be responsible. 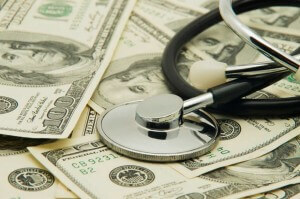 Providing routine care such as semiweekly nursing visits can be very lucrative. However, symptom management that requires continuous nursing care or inpatient care can be financially draining and logistically problematic, especially for smaller agencies. Researchers believe that most hospices are providing quality care and many nurses in the field consider palliative medicine as much a calling as a job. When the hospice movement took root in the United States, hospice practitioners were typically part of religious groups, or were community-supported like the Texas Medical Center’s Houston Hospice. However, since for-profit businesses have come to dominate the industry, early planning and investigation of hospice care options is a necessity.